ROANOKE, Va. (April 10, 2019) – The Virginia law firm of Gentry Locke is pleased to announce that 26 of the firm’s attorneys were selected for inclusion in the 2019 Virginia Super Lawyers® lists. Attorneys were nominated by their peers and recognized for their outstanding professional achievement in several legal practice areas including appellate law, business/corporate law, business litigation, construction litigation, criminal defense, employment law and litigation, health care, land use and zoning, mergers and acquisitions, personal injury, professional liability, and tax law. Seven of the 26 were elected Virginia Super Lawyers Rising Stars—attorneys who are 40 years old or younger, or in practice for 10 years or less. New to Super Lawyers this year from the firm are Charles R. Calton and Christopher M. Kozlowski. Managing Partner Monica Taylor Monday and partners K. Brett Marston and Anthony M. Russell were included on this year’s “Top 100” list. Further, Monica, who has been named to the Virginia Super Lawyers list for 10 consecutive years, was included on the “Top 10” and “Top 50 Women” lists. Super Lawyers, which distinguishes the top 5 percent of attorneys in each state in more than 70 practice areas, recognizes those who have attained significant peer recognition and professional achievement. With more than 55 lawyers practicing across a range of disciplines, Gentry Locke brings uncommon thinking and deep experience to the legal and business challenges of companies, institutions, organizations and individuals—a commitment the firm has met since 1923. 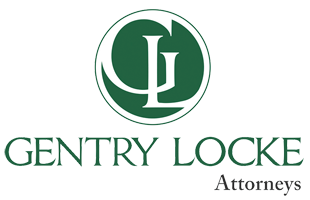 Operating from offices in Roanoke, Lynchburg, and Richmond, Virginia, Gentry Locke serves clients in Virginia and across the United States, as well as worldwide as a member firm of the ALFA International Legal Network. Meet the firm’s dynamic attorneys and learn more about its fierce drive to achieve success for its clients by exploring this website. We promise we won't spam you. Library updates only.